Bless up, DJ Khaled fans! Tablelist is bringing your favorite DJ, producer and motivator to Boston, Friday June 3rd at Ascend. From announcing his new record dropping this year on Epic Records, to opening for Beyoncé’s Formation world tour, this show in Boston is set to be a major key. Be sure to book your ticket or VIP table before they sell out. 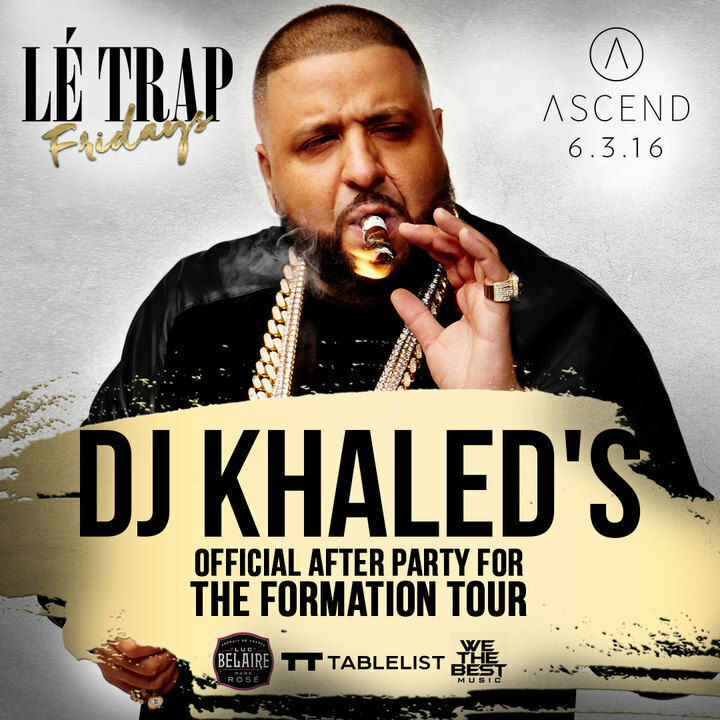 Join DJ Khaled at Ascend, the official Formation Tour after party presented by Tablelist. This night will be major key with dancing, drinks, and more! BET Hip Hop Award winner and Grammy nominee, DJ Khaled, is an American record producer, radio personality, DJ, snapchat phenomenon, and record label executive. Releasing singles like “All I Do Is Win” and “I’m on One”, DJ Khaled has had his fair share of hits. In February, Khaled signed a management-only deal with Jay Z’s company, Roc Nation and announced his ninth studio album, Major Key, was going to be released this year. Wondering how to get early access to tickets and special VIP table packages for Tablelist’s best events like this one? Learn more about Tablelist Platinum, the new monthy membership program that gives you access to amazing perks, parties and experiences.